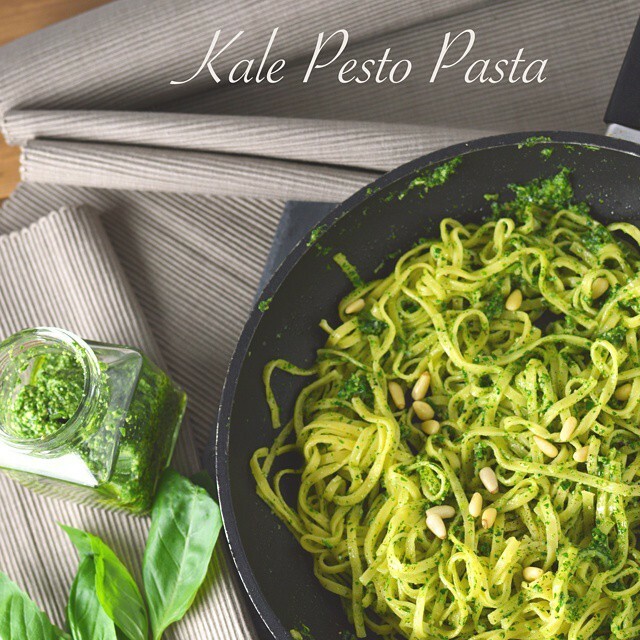 Egg pasta with kale pesto. You seriously have to give it a try- so delicious. All you need is a food processor and a couple of ingredients.